This is a crazy world… but there’s crazy, then there’s Lenny Dykstra crazy. 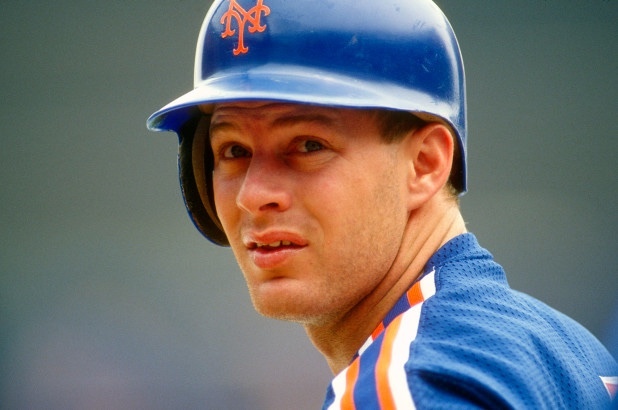 Dykstra was drafted in the 13th round by the Mets in the 1981 June Amateur Draft and debuted four years later in 1985. He went 2-5 with a double and a home run against the Cincinnati Reds, he had two RBI’s and a stolen base. Dykstra would spend five years with the Mets, including the championship 1986 season where he hit .295/ .377/ .445/ .822 and an OP+ of 129, dubbed the nickname “Nails” for how tough he is, he also stole 31 bags. In his five seasons with the Mets, Dykstra owned a slash line of .278/ .350/ .413/ .763 in 1686 at-bats with 469 hits, 104 doubles, 17 triples, 30 home runs, 153 RBI’s, and 116 stolen bases while running into walls in centerfield. The Mets would end up trading Dykstra with pitcher Roger McDowell to the Philadelphia Phillies in the summer of 1989 for Juan Samuel. Now, Dykstra is constantly making the news by breaking the law in completely idiotic ways. SNY Mets commentator Ron Darling recently released a book in which there is a sector where Darling says Dykstra used racial slurs towards Red Sox pitcher Dennis Boyd. Dykstra is now suing Darling for defamation and libel. The lawsuit states “Plaintiff has no choice but to bring this action to defend his name and reputation. Upon information and belief, merely to sell books and indulge in public self-promotion, Darling has sought to capitalize on Plaintiff’s complicated past, and intentionally, falsely and maliciously portrayed Plaintiff as a racist, an irremovable stain and permanent cloud which will forever diminish Mr. Dykstra, stalk him, and preclude him from unknowable professional and personal relationships and benefits,”. It’s hard to tell how this is going to end up but Mets fans will likely be keeping their eye on this situation and lawsuit. However, things just aren’t looking good for Dykstra these days and the man has no one else to blame except for the man in the mirror.